The Williamsville Central School District in upstate New York has suspended North High School students following an investigation into the death of Jamey Rodemeyer, the teenager who took his own life this year after antigay bullying. The Buffalo News reports that the suspensions came last Wednesday after police in the Buffalo suburb of Amherst closed their investigation late last month without filing charges. School superintendent Scott Martzloff declined to say how many students were suspended or for how long, but the News reports that several of the teen’s classmates likely received disciplinary action based on information the police shared with the district. Police earlier said their investigation discovered at least five incidents of bullying against Rodemeyer at the high school, but the school and his parents were not notified of the incidents until after his death. Officials have also said the reasons for the youth’s suicide appear to involve more than bullying. 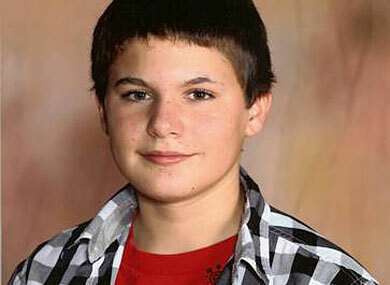 Rodemeyer, a 14-year-old freshman, took his own life apparently by hanging on September 18. An activist against homophobia and bullying on Youtube, he also made an It Gets Better video, and his death drew anguished responses from figures including Lady Gaga. The pop star later met with President Barack Obama to discuss the problem of bullying in schools. The suspensions mark at least the second round of disciplinary measures taken against students in the Rodemeyer case. Shortly after he died, the school district suspended a female student for telling friends of his sister that she was glad the teen was dead.